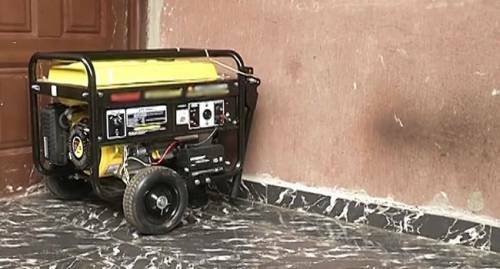 The deadly fumes from a newly-bought generator have killed four young children in a community in Bayelsa state. The story has been told of how tragedy struck in Aghoro II community in Ekeremor Local Government Area of Bayelsa State, with the discovery of four lifeless bodies in the early hours of Saturday. According to residents of the area, the children inhaled the fumes expelled by the generator that powered their home. All four children, who were still in primary school, had just finished the term’s examination. According to the neighbours, the newly-bought generator was positioned at the veranda right next to the children’s room. The deceased children — identified as Lucky, Ebitimi and Ruth London — with their cousin Ebi Binasuode were discovered dead in the morning. Only one, Favour Stephen, survived the incident. The distraught father of the deceased children said he kept the generator at the balcony far from the room of the girls. However, when he woke up at 6am the next day, he discovered that the generator had shifted close to the door of the girls’ room. “The generator was outside, but it was on tiles. The generator shifted close to the door. At about 6am, I came out to put off the generator and saw that it was close to the door. Eventually, when I entered the room I saw that all the children were dead,” he lamented.